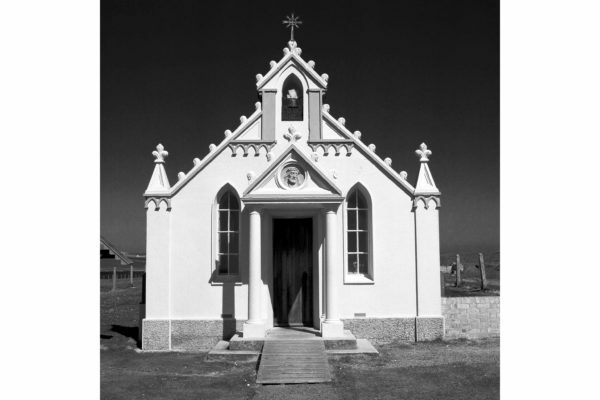 Orkney’s Italian Chapel, on the island of Lamb Holm, is unlike any other building in Scotland. Lovingly and resourcefully built during the Second World War by Italian prisoners of war, this extract invites you to voyage north with the bestselling author Alexander McCall Smith as he visits this remarkable historic site. Hamish Blair would have been dispirited by the unrelenting gales, but I found that even if they made being outside a challenge, they had a spectacular impact on the landscape. Perhaps Orkney, beautiful though it may be on a fine day, comes into its own in difficult conditions; it is a place of high winds and turbulent seas; it is a landscape of flattened hillsides and bent, discouraged trees. This is not Highland Scotland, but something quite different; it is a halfway house to Scandinavia, where low-lying islands and a cold sea are the backdrop to daily life. I drove down from Kirkwall on the road that runs to Scapa Flow. It was too early for lambing, and the sheep were standing about waiting for their time to come, indifferent to the winds to which they were so accustomed. The farmhouses along the side of the road, like many of the buildings on the island, had a low, huddled look to them, as if they were keen to burrow back into the protective earth. Had they been brochs, rather than houses, they would not have seemed out of place. The road ran straight, even if it went up and down as it followed the gentle folds of the Orkney countryside. No journey in Orkney is all that long, the blessing of an island being that it is, usually, a place of short distances. Such a landscape never suffers from the loneliness that can infect those that go on forever. The American West and the Australian Outback are melancholic places because of their distances. Orkney is not like that at all; it may be relatively sparsely populated, but I suspect it would be hard to be lonely there. The road ends where the sea begins, and you turn off, should you wish, to make the journey over the barriers to one of the outlying islands, to Burray or South Ronaldsay. That route is hard in these windy conditions, as the sea is whipped into plumes of spray as it meets the sides of the causeways. But I did not have far to go, as my destination was just over one of these causeways, on the island of Lamb Holm, and I could already see the squat, white-fronted building, so tiny in the distance. 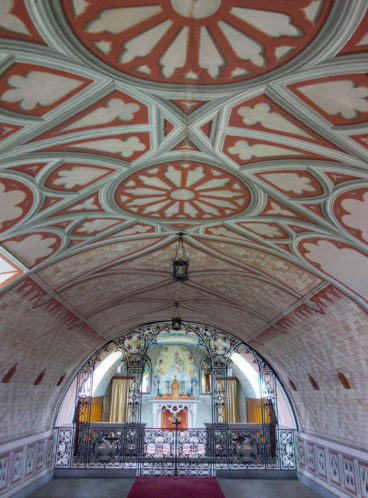 The Italian Chapel. And next to it, energetic in the gale, the Italian flag. Again, a line of a poem came to my mind, and I thought of Auden’s description of a flag in the wind in his ‘Journey to Iceland’. He describes a flag as ‘scolding’, and it seemed just right. Here was the Italian flag, scolding in the wind. I crossed the barrier and stood before a building I had seen many times before in photographs. It was so small, as buildings – and people – so often are when you seem them in the flesh. But it had such presence that it would have seemed wrong for it to be any bigger. Who Built Scotland: A History of the Nation in Twenty-Five Buildings, by Kathleen Jamie, Alistair Moffat, Alexander McCall Smith, James Crawford, and James Robertson, is out now published by Historic Environment Scotland priced £20. 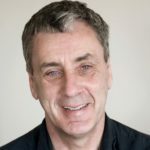 If you’re in the St Andrews area you can join authors James Crawford and James Robertson at this event at Topping and Company bookshop on 10 October. A vibrant visual showcase giving a taste of the heartwarming forthcoming book by Jonathan Meres.